Nancy Williams, M.A., ACAAB has a full-time training and behavior practice in Manchester, Maryland. Ms. Williams earned a Masters degree in experimental psychology, in 2003 from Towson State University in Maryland. Ms. Williams is an Associate Certified Applied Animal Behaviorist (ACAAB), certified by the Animal Behavior Society, and a registered veterinary technician in Maryland. In her practice, Ms. Williams is most frequently consulted on dog aggression cases, and has served as an expert witness in court. She serves on an Animal Matters Appeals Board in her community, in order to issue determinations on dangerous dogs. 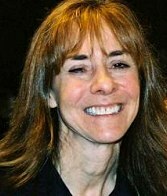 Nancy has lectured and given webinars to professional and public audiences in both the U.S. and Canada on dog behavior. She conducts research using a dog’s heart rate as a tool during behavior modification in order to improve training efficiency. For more information about Nancy, or to schedule an appointment if you are in her service area, visit her website DogsWithIssues.com.